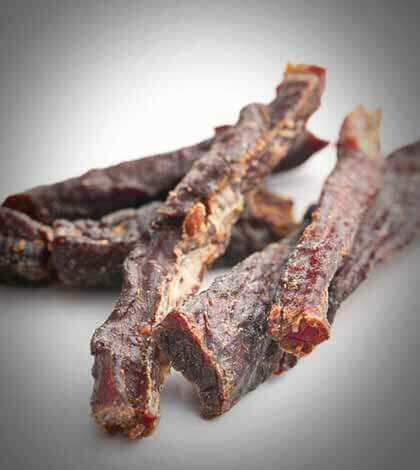 There are literally tens of thousands of jerky recipes to be found out there. 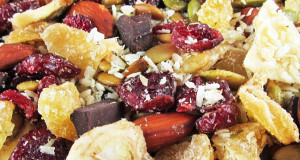 They range from super simple to mind-blowingly complex and ingredient intensive. In choosing how to flavor your jerky think about the seasonings and spices your family likes and look for jerky recipes that include them. 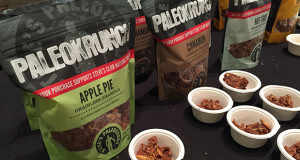 There are spicy jerky recipes, peppery jerky recipes, sweet jerky recipes… any kind you can think of! 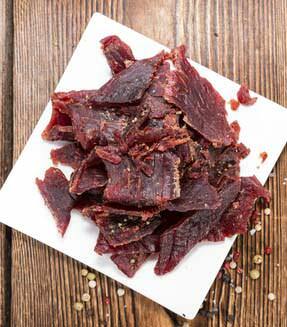 This recipe was adapted from the e-book, “The Complete Book of Making Jerky at Home” by J. Wayne Fears. It’s one of more than two dozen jerky recipe variations he offers in this title available on Amazon. Check out all his works on the J. Wayne Fears Amazon author page. Place cut up meat in a large, heavy-duty zip top storage bag. Stir in honey, garlic, onion, and ginger. Allow to cool and pour over meat. Seal bag and turn several times to thoroughly coat the meat. Refrigerate for at least eight hours. 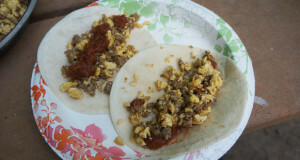 Drain meat and pat dry with paper towel. Arrange meat on smoker racks. Dry at 150-175 degrees until desired consistency is reached. 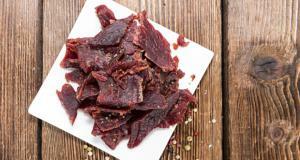 Allow jerky to cool completely; store in an airtight container in the freezer. 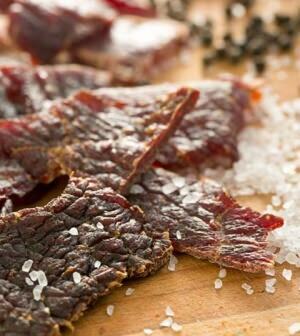 This delicious beef jerky recipe was adapted from the e-book, “The Complete Book of Making Jerky at Home” by J. Wayne Fears. While it calls for beef flank steak, you can actually use it for most any kind of lean, red meat. It’s one of more than two dozen jerky recipe variations Fears offers in this title available on Amazon. Check out all his works on the J. Wayne Fears Amazon author page. Slice flank steak about ⅜-inch thick while still partially frozen. Mix the sliced onion and all other ingredients, except meat, in a large, zip top plastic bag. Kneed to mix thoroughly. Add meat strips, seal bag, and turn several times to thoroughly coat the meat. Marinate at least eight hours or overnight, turning bag occasionally. Dry at 150-175°F until desired consistency is reached. 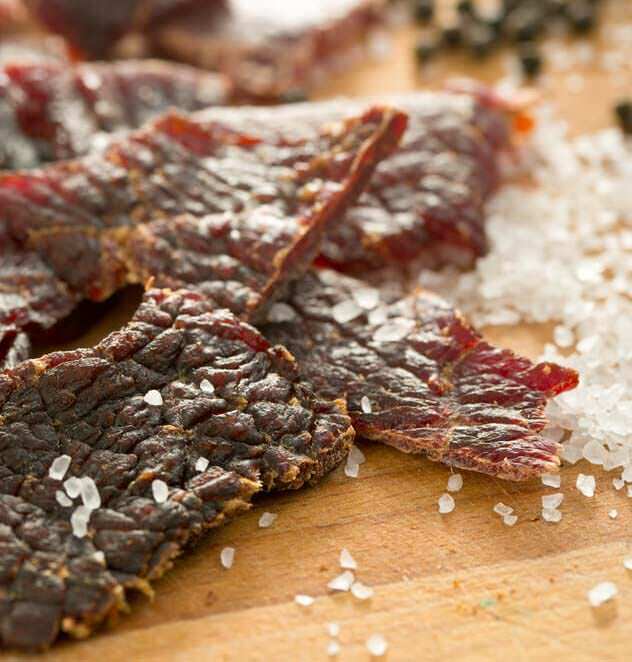 Jerky is not only delicious, it is an incredibly healthy form of protein due to the method of “cooking” and the removal of fat and moisture from the meat. 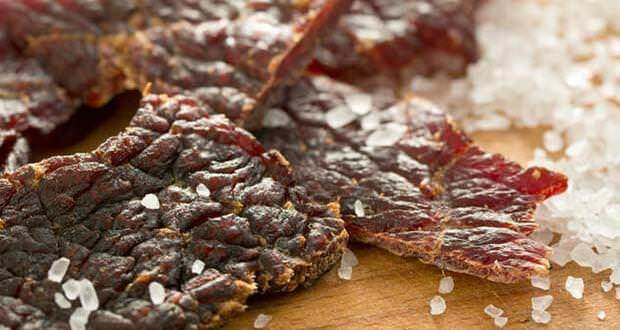 Although delicious, few things are as misunderstood as homemade jerky. It really couldn’t be easier to make your own jerky, from a variety of meats, for far less cost than buying a bag at the grocery store but a lot of us are still on the fence about making our own. We’re here to point you in the right direction. From venison to beef, you can smoke nearly any kind of meat that your heart desires. The most popular is beef, based on taste and availability, but getting adventurous and using unusual meat is half the fun. The cuts of meat that you will likely use are flank steaks or top round cut to one-fourth-inch thick slices. Based on the shape of the top round, you get larger pieces that can either be cut to bite sized chunks after smoking or eaten whole. With beef cuts, you will likely have your butcher cut the slices for you; simply tell them what you are using them for. 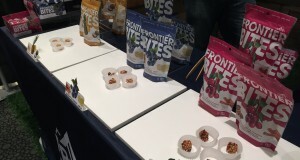 You can buy pre-made jerky marinade mix at pretty much any grocery store but sticking with the spirit of do-it-yourself jerky making, starting from scratch allows you to customize the flavor and experiment with combinations that you wouldn’t find in an off-the-shelf mix. Below you’ll find a list of ingredients that are commonly combined to make the marinade. The basics of Worcestershire, soy sauce, and garlic and onion powder are common but you can add spices and seasonings to fit your taste. After you combine all the ingredients in a large Tupperware or a resealable plastic bag, thoroughly coat each cut of meat and let sit in the refrigerator overnight. The next morning, take each jerky steak out of the marinade and dry them as much as you possibly can. Paper towels work well for this. Removing any excess moisture is the key step to making amazing jerky, so take your time and pat dry each steak. The goal should be to keep the smoker between 150°F and 175°F for 6-8 hours. The easiest way to do this is adding lit coals to a base of briquettes already in the smoker. This allows the lit coals to slowly spread to the base coals, helping to maintain a consistent temperature for a longer period of time. Adding chunks of hardwood such as oak or pecan is a great addition to the briquettes and can add a distinct smoky flavor. Use larger chunks to prevent the wood for catching on fire and producing large flames. Remember, the goal is to smoke dry the jerky, not grill it. Throughout the 6-8 hours, you will have to adjust the vents on your smoker to maintain the “goldilocks” temperature range of 150°F to 175°F. Closing the vents will cool down the smoker while opening them will increase air flow, thus increasing the heat. 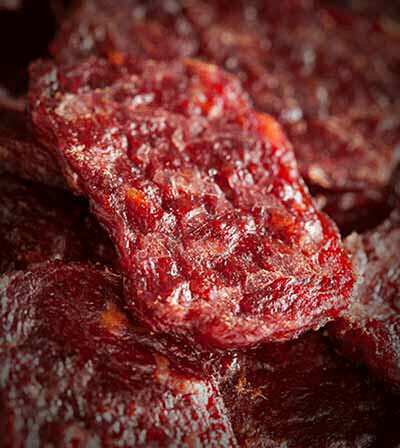 Most recipes go far beyond this with additional marinades and spices, but this is all it takes to make basic jerky and experience the style of jerky American explorers and pioneers like Lewis and Clark ate. Trim all fat from meat. Cut meat with the grain into strips about ¼-inch thick. Brush both sides of strips with liquid smoke. Cover bottom rack in oven with aluminum foil or baking tins to catch drippings. 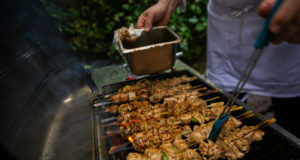 Skewer each strip of meat at one end on a toothpick and suspend so it hangs down over the foil from the top oven rack. Turn the oven on to 175 degrees or lowest setting. Use something nonflammable to prop the oven door open at least ½ inch. Dry for approximately 6-8 hours. Start testing consistency at 5 hours to make sure you don’t dry it out too much. When done, turn off oven and remove jerky. Store in zipper top bags in refrigerator for up to six weeks or freezer up to six months. m on your smoker grates. It is perfectly fine if they are touching, the steaks will shrink as they dry, but overlapping them will prevent them from properly drying.